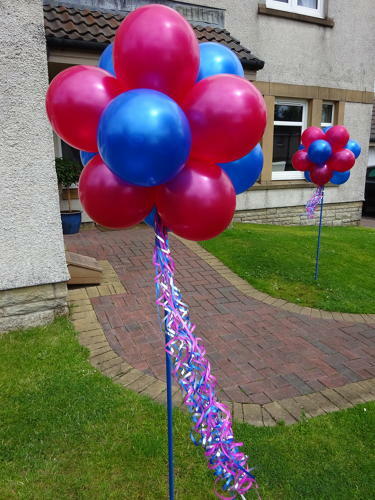 These are very popular for pre-prom partys and great for marking the way to your celebration. The poles are hammered into the grass. A single one can announce "The party's here", they can look great either side of a driveway or set 3 in a row to mark your pathway. They can be done in any colours you want with matching ribbons. A smaller version is also available. Please allow 1 week when ordering this item.